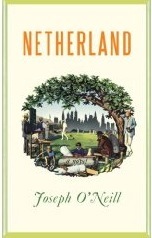 Months after everyone has read Joseph O’Neill’s Netherland, I’m going to add a “me too” to the mess of people who added it to various “best of …” lists. Hans is a Dutch banker, a passive go’er with the flo’er whose wife lights back to London from Manhattan after 9/11, taking their son with her. Already an aimless sort, Hans continues to drift and falls in with Chuck Ramkissoon — an international man of mystery who is obsessed with trying to build a cricket community. Chuck is a great character, and one reason the words “… with echoes of The Great Gatsby” are stamped on the cover of the book. He is ambitious, an immigrant trying to build a community on the cricket field. He’s got his hands dozens of pots, stirring up businesses and connections and all sorts of vague stews. He pops up here and there and has two cell phones buzzing. He’s got a wife and a mistress and he gives a great inspirational speech. He tells tales that may or may not be true. Only as Hans gets to know Chuck better, do the man’s seams start to show. A bit of a criminal, we see. And by then, Hans is ditching out of America and on the fast track to getting his wife back. Hans. Hans is also great. He’s a guy who stuff happens to. He’s that kind of guy who attracts other characters. A man who wears angel wings befriends him; Chuck adopts him; a woman named Danielle — in the novel’s finest moment — seduces him, introducing a belt to the rare sexual occasion. Reading this book is like listening to a man with a pleasant accent tell you stories about a slice of three or so years out of his life. It’s funny in a way that requires seeing someone’s facial expression and subtle winking to understand they are joking.